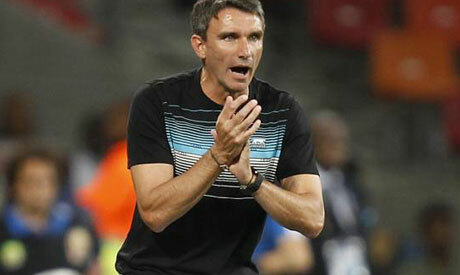 Ahly coach Patrice Carteron renewed his oath to fans he is targeting the CAF Champions League trophy, one day before playing Esperance in Tunisia in the group stage. "I don't like to talk much and make promises. But I want fans to make sure that I will do my best to bring trophies to Ahly. I know the one they want most is the CAF Champions League and I have the same motivation, so let's do it together," the Frenchman was quoted as saying to CAF Online on Thursday in a long interview he gave before the team's delegation headed to Tunisia. It's important for the Cairo giants to win against their hosts to keep their Group A run safe as they lie second with seven points, three less than the two-time champions Esperance, while Botswana's Township Rollers and Uganda's Kampala City have collected three points each. Ahly, the owners of a record eight trophies, have looked better under the new tactician compared to the last games during the Hossam El-Badry era, beating the Township Rollers twice in July, 3-0 at home and 1-0 away. "It was a very difficult mission because we needed to do many things at the same time. To return the spirit and confidence to the players and to prepare them physically and mentally, while at the same time making sure we perform well in a difficult competition like the CAF Champions League. We had to work so much with the players to perform. It was really important for us to win those two games to be second in the group," he explained expressing satisfaction over his leadership to one of the most popular clubs on the continent. The 48-year-old tactician has expressed confidence in his side's domestic performance after opening their 41st trophy bid with a win over rivals Masry and a draw with Ismaily. "I'm really happy with our league games, especially the one against Masry, because I feel the players are starting to progress and feel fresher. The work we are doing is starting to show that the team is improving and we're playing better football," he expressed. "We have to consider that there's a new team with a huge budget [Pyramids], so it will be a real contender for the title. Zamalek also spent big money and they have a very good coach and good players too. We have to compete with some powerful clubs and that's not easy because many teams can compete for the title, including Masry and Ismaily, so we need to be ready and perform in a great way against all the teams. I'm happy to have this challenge," he added, highlighting that playing behind closed doors is his toughest challenge. Carteron has also spoken about the newly-joined Malian defender Salif Coulibaly, 30, praising him and expecting his success at Ahly.